Finally, your prayers have been answered! The Fuel Minder Store and Rollie Technology introduce the new Syba Systems Wireless Internet Water Tank Level Monitor. 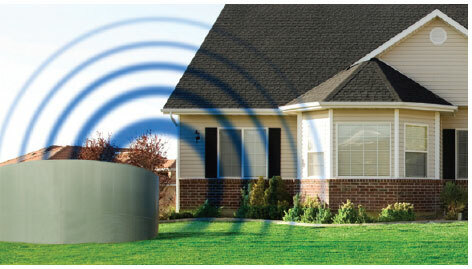 Monitor your water tank levels from any web enabled device. Choose a Single Tank Display to monitor one tank or a Multi-Tank display to monitor up to 8 tanks locally too! These systems easily mount on your tank, and communicate tank levels wirelessly every 30 minutes. ** Access your water tank level from any web enabled device - and receive text or email messages triggered by high or low alert levels! Plus, you don't need to have Wi-Fi service at the tank! Can be installed in a matter of minutes. No Wi-Fi service at the tank is required! Choose whether you want a Single Tank or a Multiple Tank Display (up to 8 tanks) for local display of your water tank levels. Either way, you still get all your data on any web enabled device. Everything is included for super simple installation. Monitor your tank levels from anywhere. No wires, easy installation, and no monthly fee!